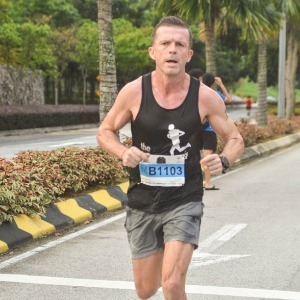 Mark is Co-Founder and Director of The Running Plan, based in Kuala Lumpur, Malaysia. Mark raced internationally for Hong Kong between 2002 and 2006 and once held the Hong Kong Half Marathon and 15KM national records. Mark has been coaching athletics and distance running for more than 20 years now and has been constructing programs for runners at all distances between 3KM and 50KM for over 10 years. Mark has been actively involved in athletics and distance running now for 30 years. Mark raced internationally for Hong Kong for many years and once held both the Hong Kong Half Marathon and 15K National Records. These days he still enjoys running, although less competitively now he is in the veterans category. Mark has recently retired from Marathon running after 47 marathons, 30 of them run under 2 hours 40 minutes! The reasons for this are mainly due to his commitment to coaching! Success. Coach Mark Williams has been notified of your message.